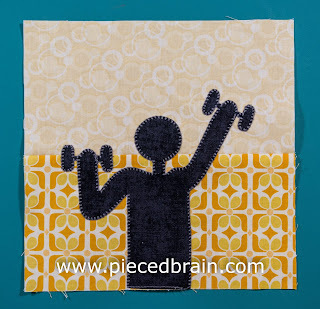 "The Gym" is block #23 for the City Girl Sew Along. 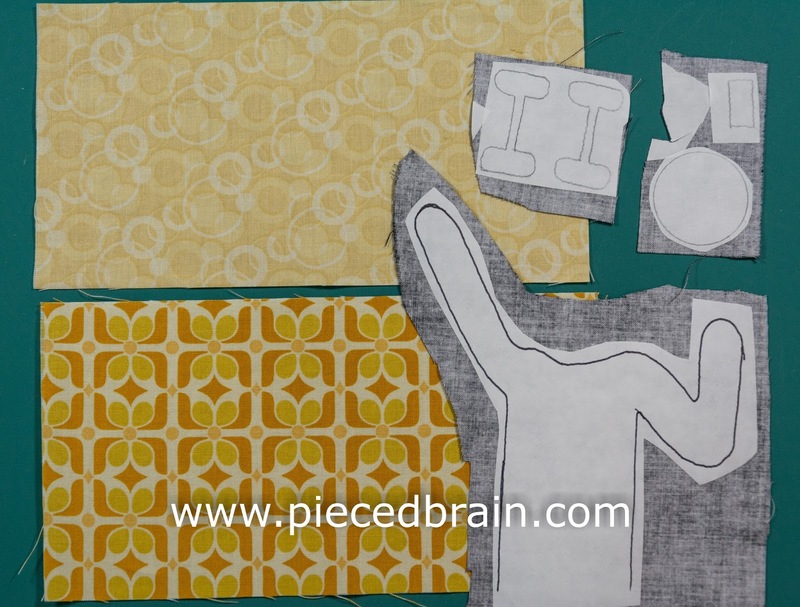 Just piece two fabrics together for the background, and choose a dark gray for the silhouette which is appliqued. This block will take no time at all, so let's get started. Gather all materials next to your sewing machine. You can download the applique template by clicking here (it has been reversed already). 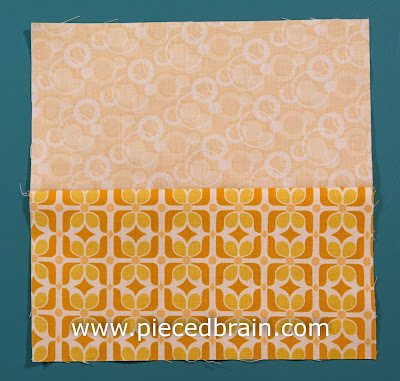 Trace shapes onto smooth side of fusible web and fuse them to the wrong side of dark gray fabric (for details on how to work with fusible web, click here). 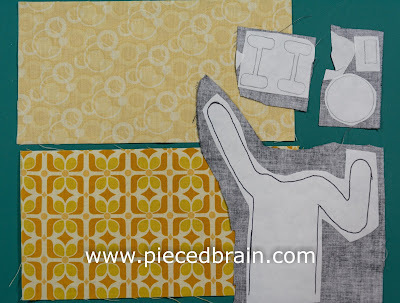 Stitch together wall rectangles using a 1/4" seam. Press seam towards dark fabric. 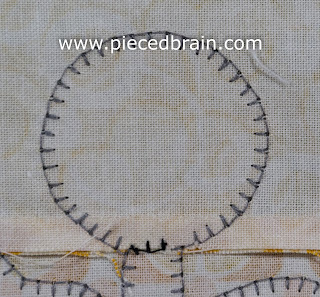 Now, fuse applique shapes to background and applique' them with a blanket stitch. 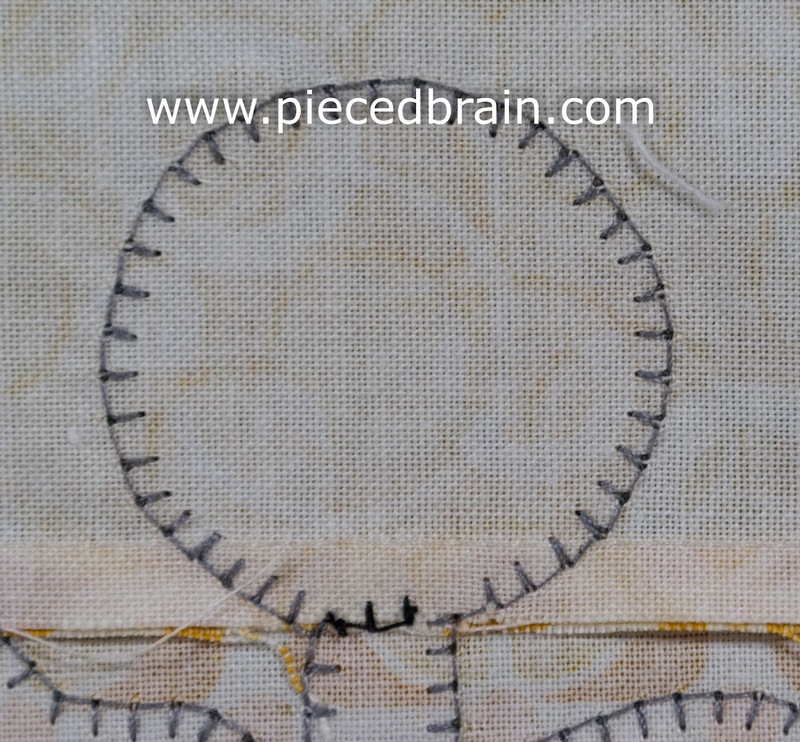 Notice the back of my block: there are two areas I appliqued with black thread instead of the gray Aurifil as I did not want to call attention to them: the part where the head meets the neck (shown above), and the other is where the neck meets the body (not shown). By doing that the outline of the shape makes more sense. Easy, huh? We will continue to use applique' for a few more blocks. 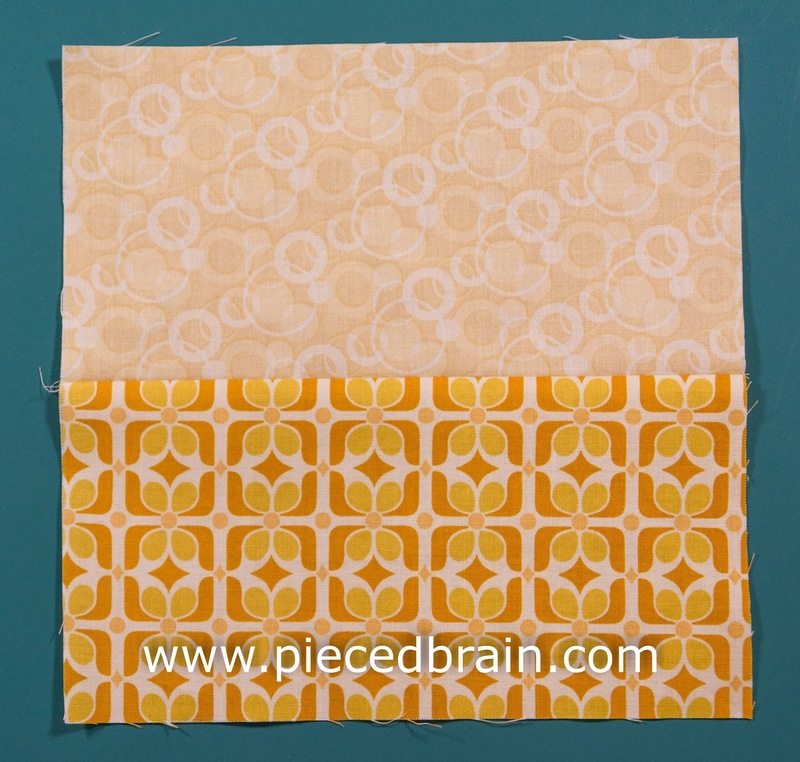 Check out all the blocks we have made so far by going to the City Girl Sew Along tab.